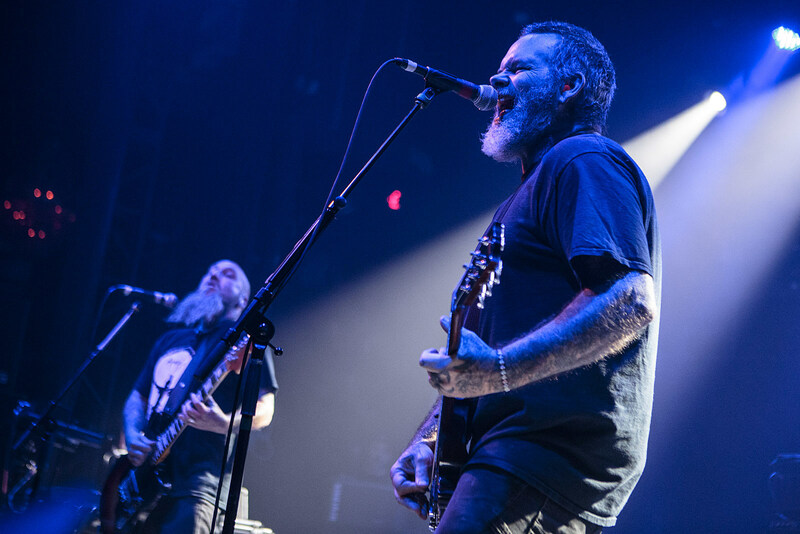 Sludge legends Neurosis recently announced a UK/EU tour with YOB (including London show that has a great triple bill with Godflesh joining), and now they have announced a North American tour too. Support on this run comes from Brazil’s Deafkids (who are on Neurosis’ label Neurot Recordings) and Seattle doom greats Bell Witch. The tour hits NYC on August 11 at Brooklyn Steel. Tickets for that show go on sale Friday (3/8) at 10 AM with an AmEx presale starting Wednesday (3/6) at 10 AM. All dates are listed below. Deafkids have a new album on the way called Metaprogramação (due March 25 via Neurot) and Neurosis’ Steve Von Till calls them “one of the most exciting bands I have heard in a very long time.” He adds, “They are a unique psychoactive journey of Brazilian polyrhythmic percussion, hypnotic chanting, and aggressive repetitive raw punk all echoing out from another dimension. Having had the blessed opportunity to play several shows with them in Europe and Brazil I can say that without a doubt, they are something new and mind blowing created from something old and primal.” Stream two songs from their upcoming album, along with some Neurosis and Bell Witch videos, below.